Jonny Benjamin will share his journey to hope and recovery in this inspiring hour-long talk. 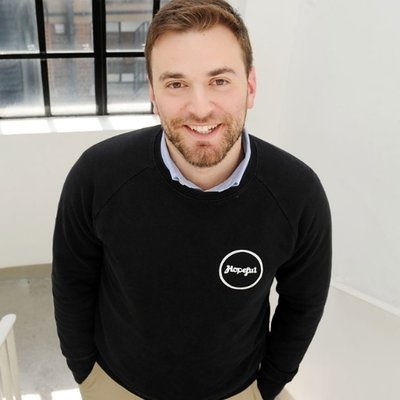 Jonny Benjamin MBE shares his very personal journey with mental illness, from first seeing a psychologist at the age of 4 to being diagnosed with schizoaffective disorder, a combination of schizophrenia and bipolar, at the age of 20. This diagnosis and hospitalisation led to Jonny ending up on the edge of a bridge in January 2008. Fortunately a complete stranger talked him off the edge. After a long period of recovery, Jonny launched a search to find this stranger in order to thank him. The search went viral and led to the two reuniting. Today, Jonny talks openly about this experience, coming to terms with being gay, the ongoing battle with his schizoaffective disorder, and his renowned work within mental health. Ultimately it is a story of overcoming adversity which he hopes will break the stigma and shame surrounding mental illness.